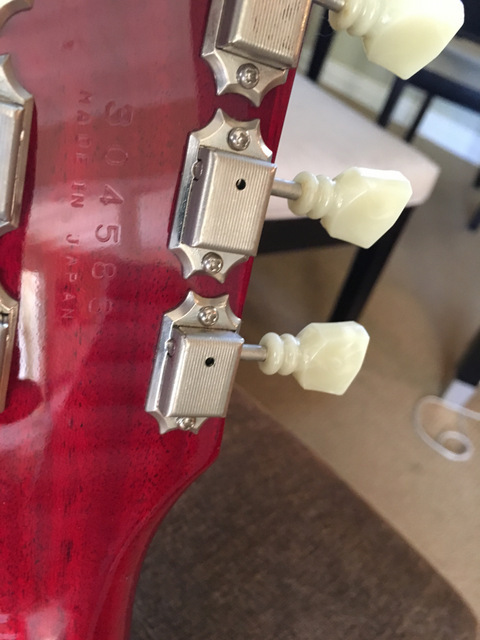 The model within the range is designated on the truss rod cover so every so often you may spot something odd which may be just a changed cover. 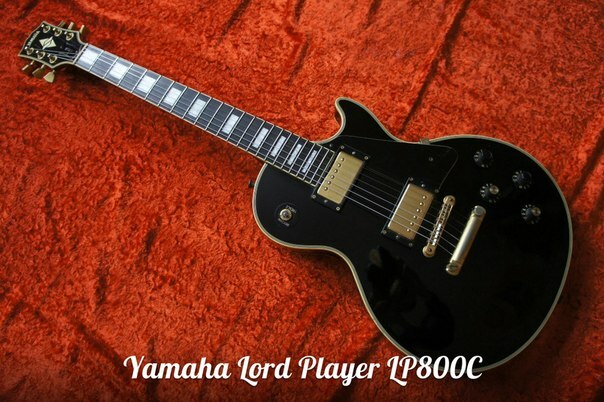 Within the Lord Player range all models have Standard written on them except for the 800 which has custom written on. I have been unable to find any evidence to suggest that there may be variations in models such as an 800 standard or a 1000 custom, but it doesn't mean that they don't exist. 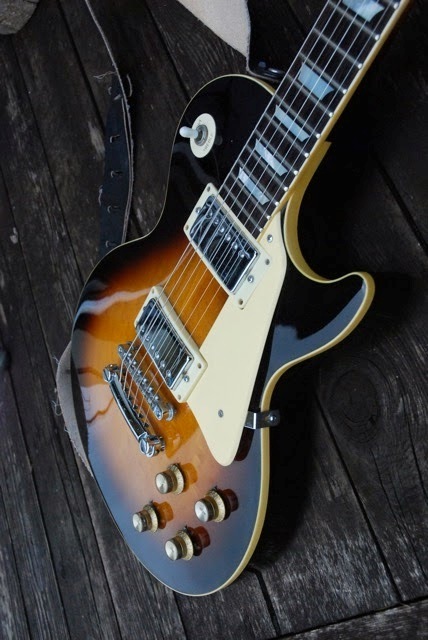 There are 4 sunburst colours which are red sunburst, easily spotted, then brown sunburst, tobacco sunburst, violin burst and also oil skin, which can look quite similar. 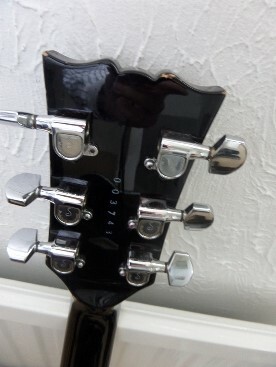 Here we have three headstocks a 400LP with "plastic covered tuners", an SL1200 and 800LP Custom. 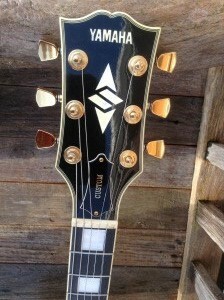 Note the headstock shape on the earlier SL model. 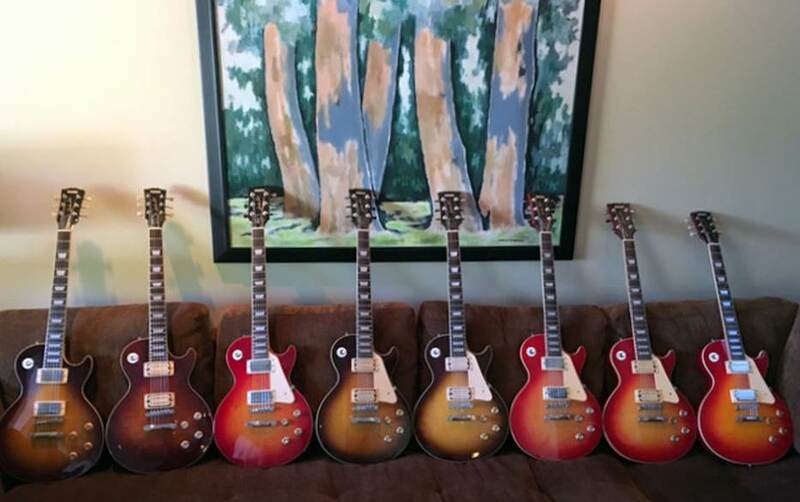 Don is a collector of guitars who has a several LPs and SLs and has provided me with information from his studies of them. 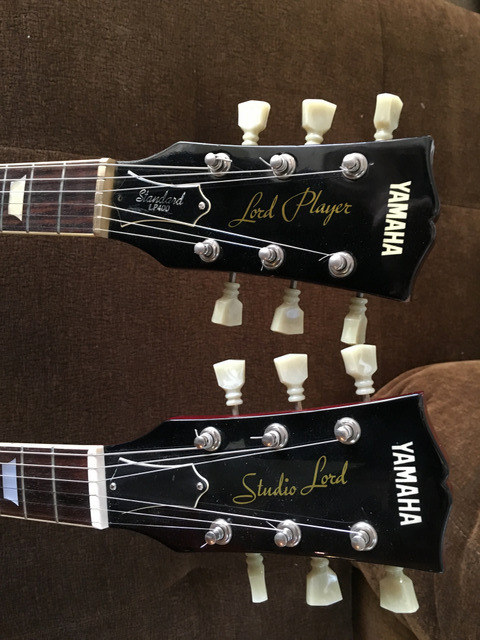 I have noted that the SL450 and SL550 versions of Studio Lords were very similar to the later model Lord Players, with somewhat slimmer necks, more consistent weights and a slightly more pronounced top carve than the heavy Studio Lords of the mid-late 70s. 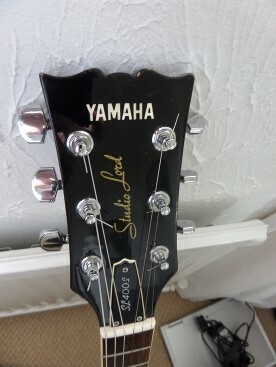 I also noted that one of my Studio Lord 450 models has the stamped serial numbers which are the same style as the Lord Player LP400 I recently bought, rather than the white applied serial numbers on my other Studio Lords.. 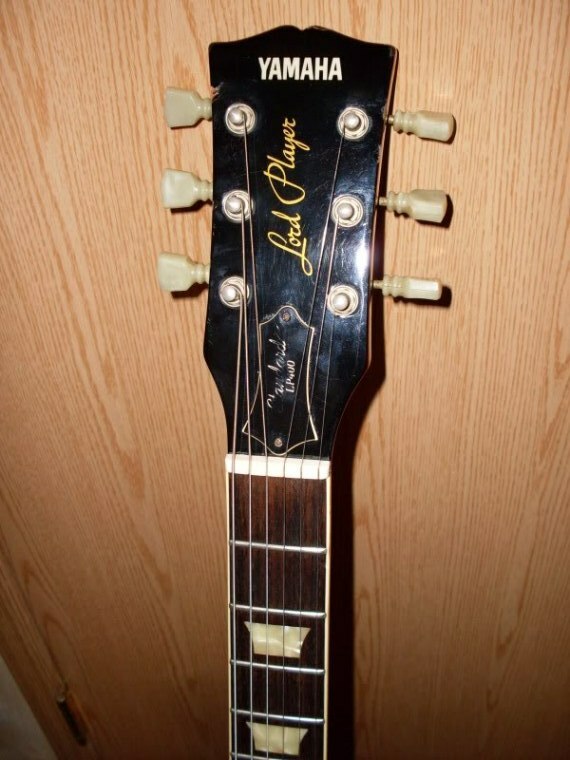 I am guessing that this was a 1983 model, which came just before the Studio Lord's name change and re-alignment into Lord Player model These two guitars appear to be almost the same, leading me to believe that the SL450-SL550 models of 1982-1983 morphed into the Lord Player models of 1984. I think one of the most interesting discoveries was the top carve differences from the mid-late 70s SLs and the subsequent SL450 and 550 and the Lord Player versions. 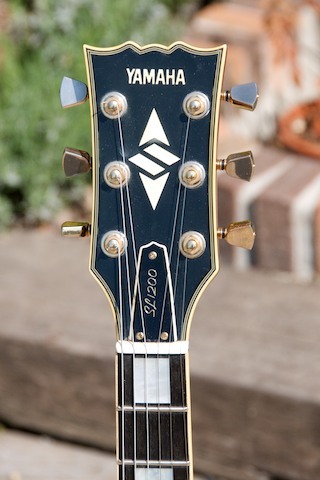 This is quite subtle but there is just a bit more contouring on these 1980s Yamahas along with a slightly thinner neck carve. Don has pointed out as above a subtle change in the serial numbers that seems to have occured around 1983, this is a change on the SLs from a painted serial number to a stamped unpainted serial number which continued on to the LPs. Some photos to illustrate this. 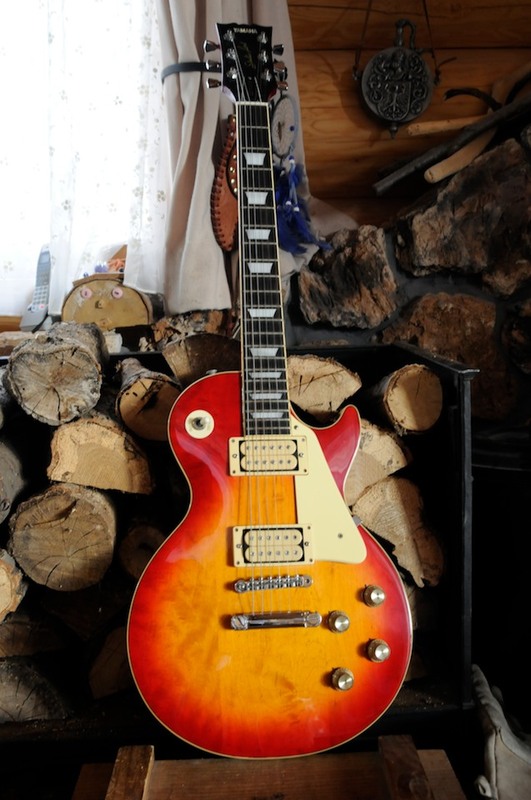 This is the front and back of two of Don's guitars the Red one is the SL which he thinks is from 1983. 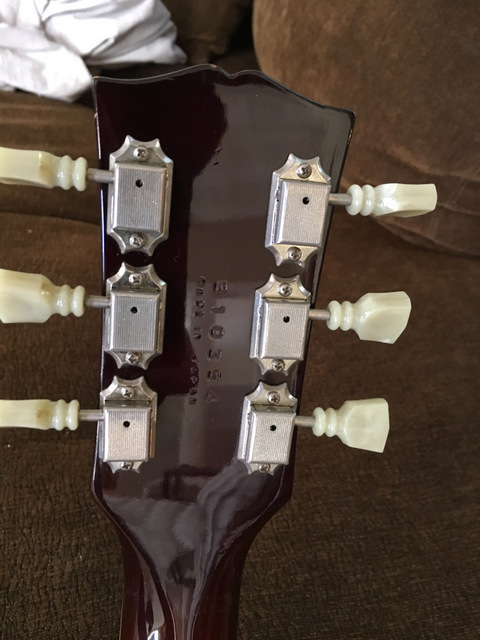 It is also interesting to note that the serial numbers on Don's guitars do not fit into any known Yamaha system maybe the 3 at the front indicates 1983 who knows. Maybe there is a set of numbers for the Japanese domestic models that we are unaware of.